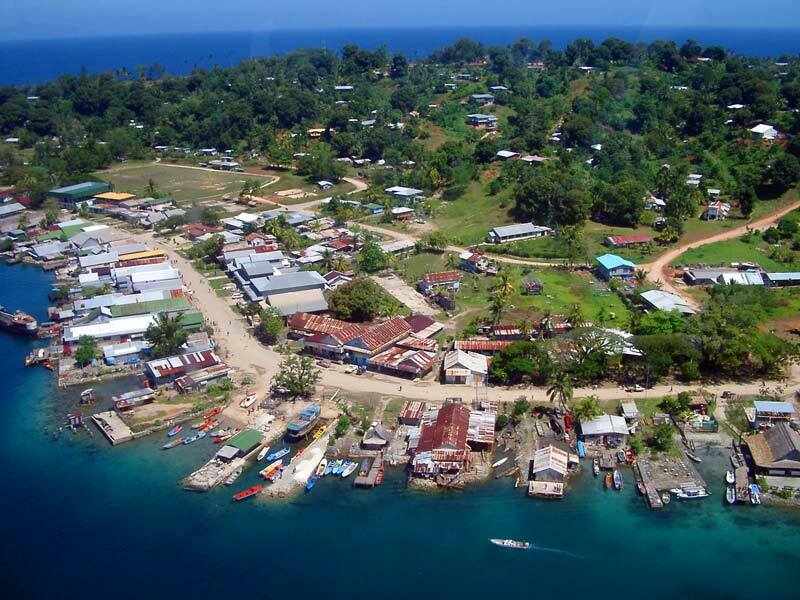 Gizo is the third largest town in the Solomon Islands with a population of approximately 5000, and serves as the provincial centre to the Western Province. It is situated on the island of Ghizo (different spelling, same pronunciation). With the appearance of a shanty town, the main street which was sealed at the end off 2009, runs along the waterfront lined with small stores and an open air market. Views in most directions show palm tree studded islands ringed by coral reef and clear waters. In 2011 the new Gizo hospital was opened. For those with an interest in history, Kerrie and Danny have researched the local WWII war history in Washington, USA, and have information on well known subjects, such as John F. Kennedy and the PT109. Diving highlights are the intact Japanese transport Toa Maru, three WWII aircraft, unlimited wall diving, coral gardens and exciting drift dives for the more experienced divers. Bush walks to WWII land sites, village tours and bird watching excursions can be arranged. We assisted the Institute for Exploration headed by Dr Robert Ballard and National Geographic in their successful search for the remains of PT109 in 2002 . The people of the Western Province produce famous carvings from various woods and stone. Woven bags, baskets and mats are also ancient village arts and are available for purchase. Adventure Sports shop has a good selection of carvings and baskets. General stores line the main street of Gizo and supply a wide range of goods and foods. The daily markets provide fruit and vegetables and fresh fish. 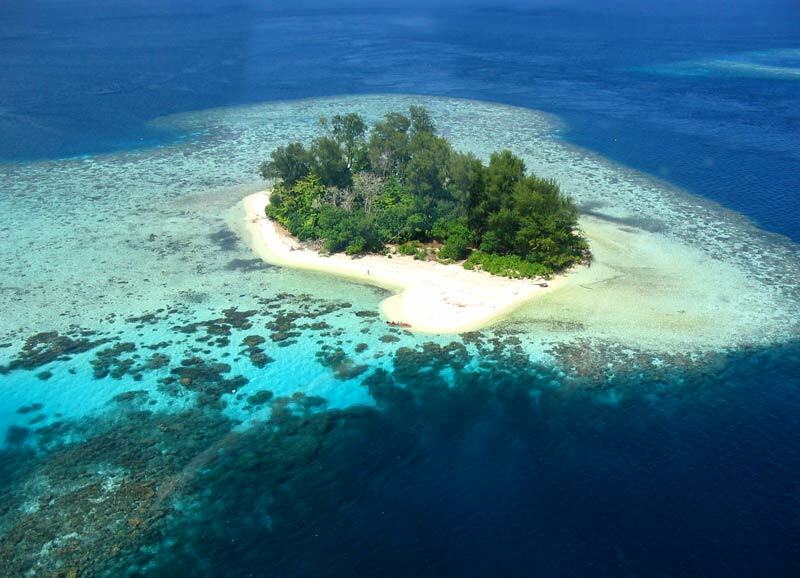 Gizo offers a number of restaurants, with the standard fare being fresh seafood and fruit. 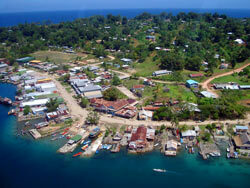 Gizo is serviced by multiple daily flights to and from Honiara. The flight takes about one to one and a half hours (often stopping at Seghe and Munda en-route). Solomon Airlines has upgraded to a Dash 8 on the schedule which has solved baggage issues that previously disrupted divers. 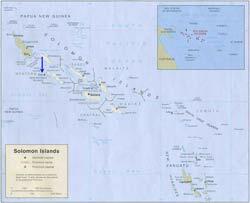 Check out www.flysolomons.com to see whats available and book online .The airport is on Nusatupe Island was upgraded in 2013 . 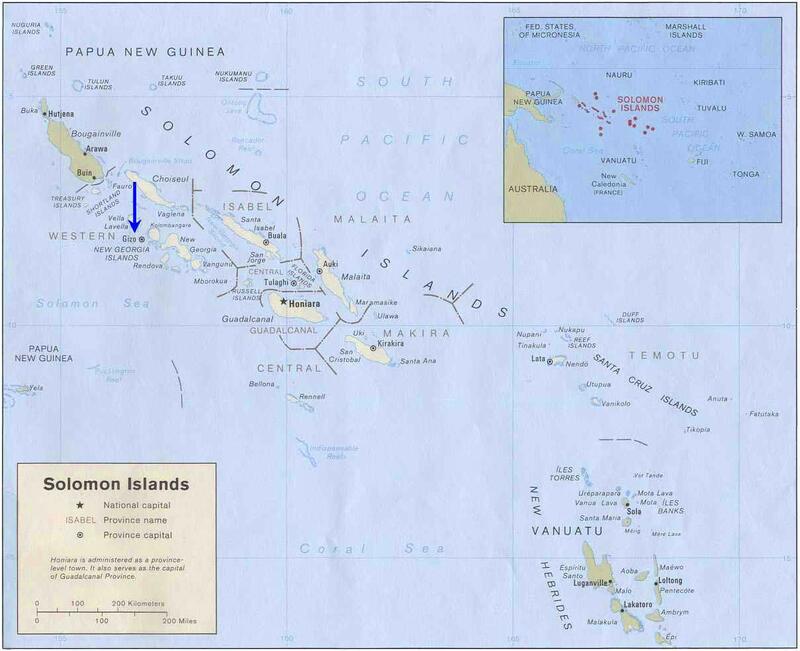 Click here to view an enlarged map of Solomon Islands.